Duncan and Carson Reid made the trip to Fresno this past Saturday representing Bishop Union High School at the State Cross-Country meet. The Reids qualified for the state meet running in Division 4. Coach Heidi Eldridge indicates the Bronco Duo were two of the 192 runners racing in Division 4. Duncan Reid turned in a time of 16:59, good for 105th and Carson Reid finished in 17:14 good for 122nd. The state finals were held in Fresno at the 5,000 meter Woodward Park course. JSerra High School’s Andrew Burkhardt won Division 4 with a time of 15:08. Santa Ynez High School boys won the team title for Division 4.
cover photo by Steve Dutcher Photography. Coaches Heidi Eldridge, Katie Kress and the Bishop Union High School Cross Country team traveled to Fresno for the Central Section CIF finals. The Girls team finished 5th out of 17 teams while the boys finished 7th in the field of 32 teams. Both Duncan Reid and Carson Reid qualified for the CIF State meet back in Fresno on November 28th. Duncan finished 3rd with Carson bringing home 7th place. The Bronco girls were paced by a pair of Freshman, Ariana Pope finished 10th with Emma Place in 13th. The teams are coached by Heidi Eldridge and Katie Kress. Photo provided by Coach Eldridge. 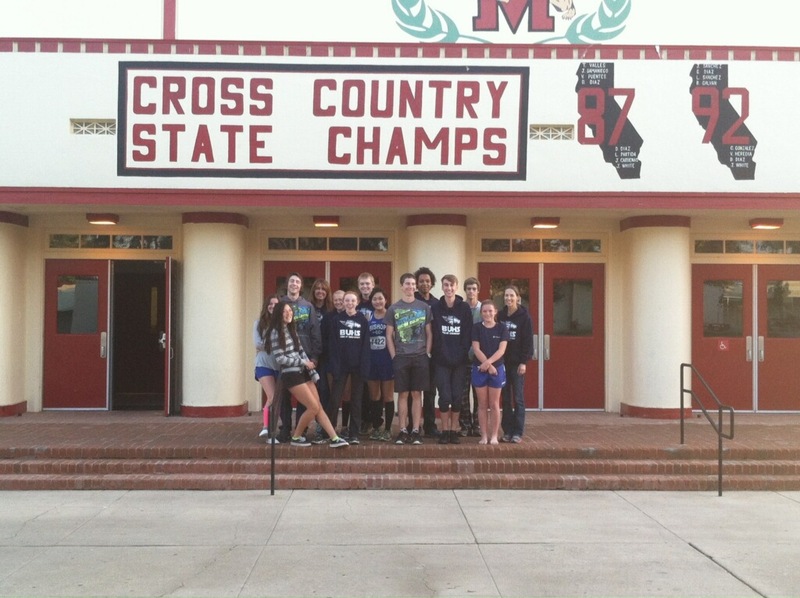 BUHS cross country team stopped at McFarland home to the school and team that inspired the movie, “McFarland USA”. The Bishop Union High School cross country team dominated California City Wednesday in a high desert league dual. The BUHS tungsten hills course played host to the HDL dual. The Bronco girls were paced by Emma Place. Emma finished first overall with a time of 23.35. In the Boys competition Carson Reid finished first overall. Looking at the team scores, the Bronco girls won 16-45 and the Broncos boys won 27-38. Bishop will now compete in the weekend meet at Mt. Sac. The Broncos are are coached by Heidi Eldridge and Katie Kress.